Is This a New Game Cat-egory? Home / Recreation / Games / Is This a New Game Cat-egory? 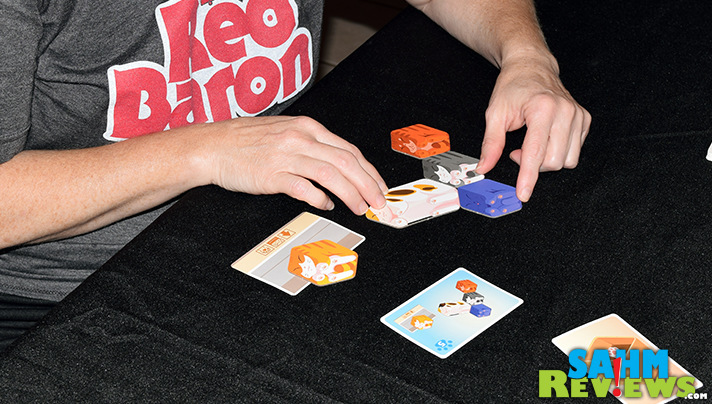 Over the past few years it seems that two themes have monopolized the board game industry. Time and time again we see new titles that are either zombie-themed or pirate-related. 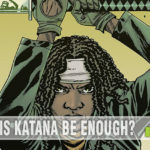 In fact, we have so many pirate titles in our collection (yes, it’s one of our favorite themes) that we wrapped them up into one article last year. Other than general categories like steampunk, fantasy or space-related, we hadn’t seen any new trends emerging. Maybe that’s about to change. 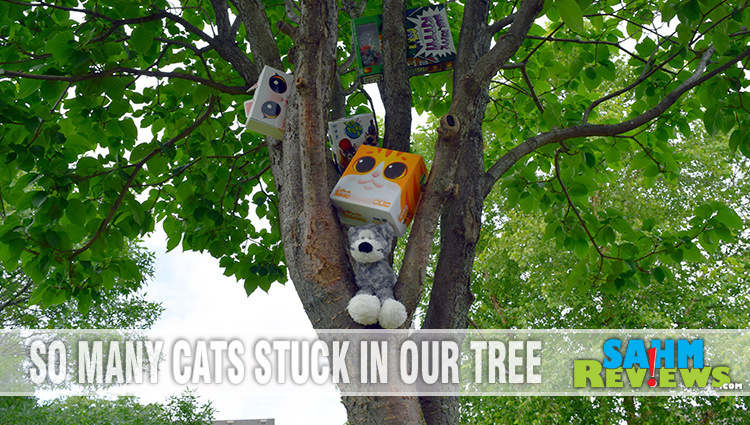 If you’re a cat fanatic, you’ll recognize that a cat tower is typically a place where cats congregate and play. Well, play as much as cats do when they aren’t being lazy. This… is not that. 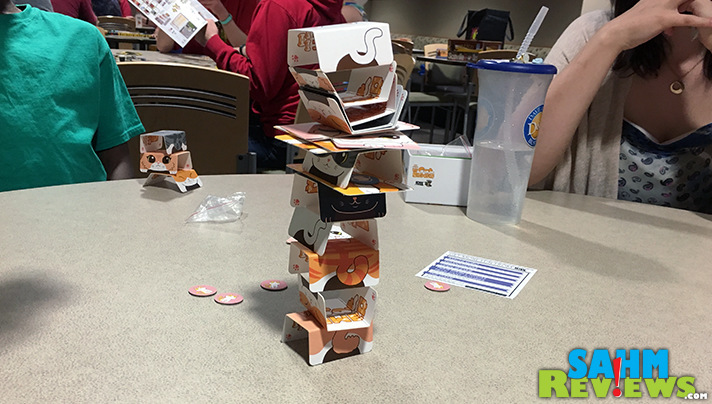 The game of Cat Tower is all about making cats do something they don’t like. Be crowded. More specifically, be stacked on top of each other. Why would anyone do this? Because that’s what dexterity games are all about! Your only goal is to get rid of your litter determined by the roll of the die. It may sound easy but cats don’t like being stacked and paper versions are no different. As you laugh, try to keep a steady hand and hope someone else knocks the tower over before it gets back to you. You know what they say about “there’s one in every neighborhood and if you don’t know who it is then it’s you.” Well there’s no doubt that this entire place is filled with crazy cat people. But that’s okay because the entire neighborhood is filled with kittens! Everyone wants them but not everyone can have them. The person who figures it out how to lure all the cutest cats to their front porch will end up being the winner. 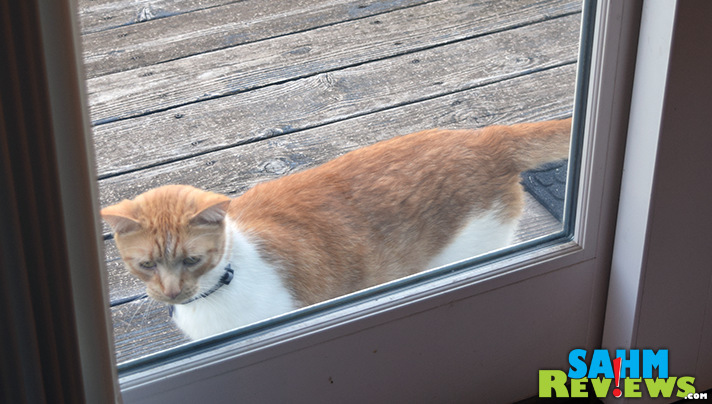 You can play nice and invite them into your home or be mean and just steal cats from a neighbor. Hey! You would make a better cat parent, right? If you’ve ever looked at a piece of Escher artwork, you’ll have a bit of an appreciation for this game. Everyone is trying to recreate a pile of cats and boxes and cats in boxes. 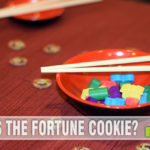 Race quickly to grab the correct tiles then scramble to twist, flip and turn to get them all lined up appropriately. The tiles, of course. No way actual cats would be so tolerant of all that manhandling! You know how Garfield eats and eats and eats Lasagna then lays miserably to recover? Imagine you are a cat and your purr-eferences include bento boxes, full bowls and plates full of sushi and you’re in an eating competition. Naturally, you’ll want to devour as much as possible and hope you don’t get indigestion. Tem Purr A is a game where you do just that. Either eat until you are one fat cat or pass the dishes along to your neighbors in hopes they’ll feel like exploding. 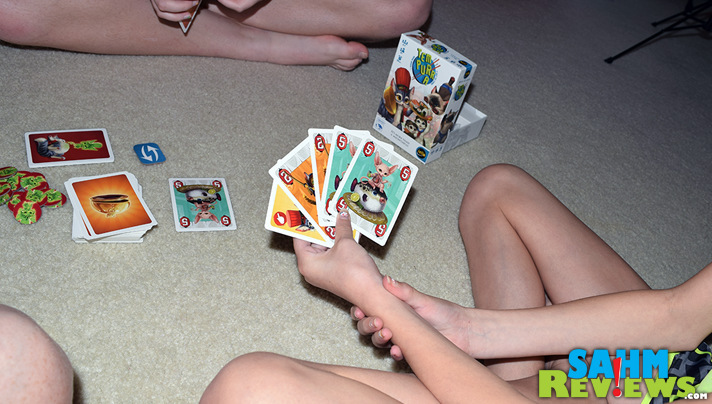 Clean your paws and slink up to the table as you get ready to show who is the cats meow. 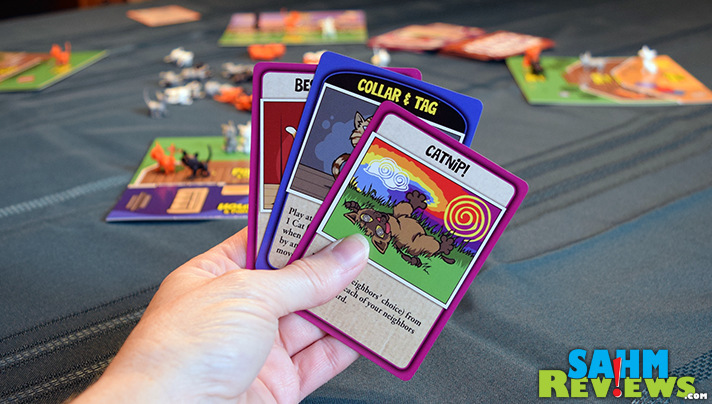 Are these just the first litter of many other cat-themed games to come? We’ve seen a couple on Kickstarter and hear rumors of others, so maybe this is the start of something much bigger! But fur now (ha!) we’re content with these four titles as they cover a wide range of game types. If you’re a cat fan, we’re sure at least one of these are right for you. And if you aren’t, well…these don’t shed! Some of these games look really cool. I love that they have a common theme – cats – but are all fairly different in their actual play. Oh my goodness! What a kick! I’m loving the Cat Tower game! Kinda like Jenga! I had no idea there were so many CAT games. Perfect for all my cat loving friends. Ok, I can totally see our family playing cat tower! We would be laughing so hard all night we might be able to actually create the tower! I had no idea there were so many cat games! 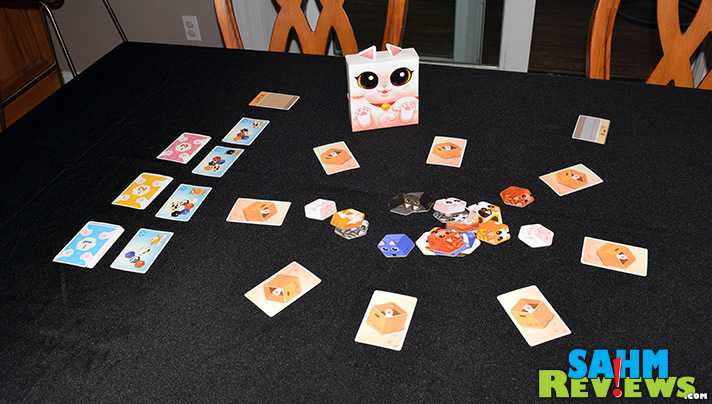 My daughter will love the Cat Tower and the Tem Purr A game. These will be awesome gifts for her birthday! What a cute game concept! My kids were pet obsessed when they were younger and would have loved this. Cat Tower looks like fun! 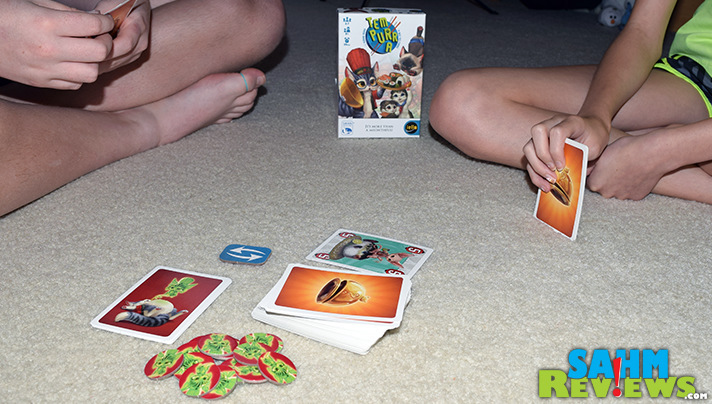 OMG I need these cat games for my family! Here Kitty Kitty looks nice and colorful. 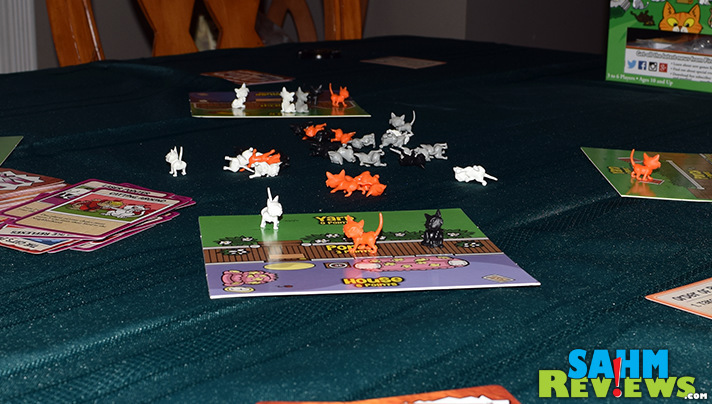 My little kids would enjoy playing with the cat figures, even if they are a bit young to really play the game. I like the cat tower game . 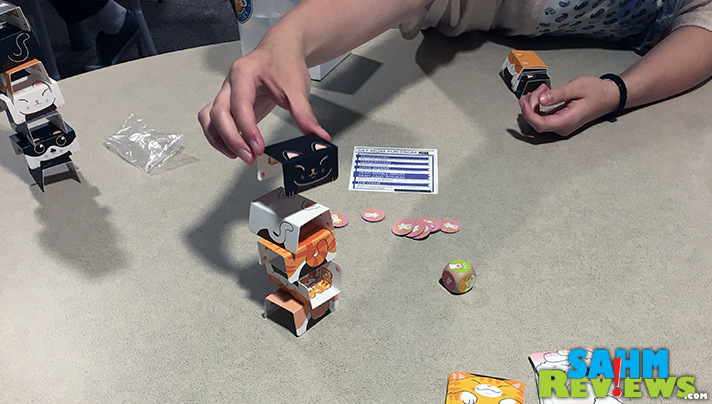 Pingback: Cat-Themed Games to celebrate "National Hug Your Cat Day"
Never thought of a cat tower other than it being a toy for cats to climb, etc. Interesting idea as a twist on Jenga.